James Snydal, a nationally acclaimed poet and radio show host, grew up on the Olympic Peninsula and eventually settled on Bainbridge Island. 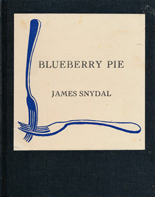 Among his publications are A Flower in a Guardsman's Gun (1996), a sequence of heroic sonnets on the demonstrations against the Vietnam war; Living in America (1997), offering poetic reflections on people and topics as diverse as Whitman, World War II, Robert Oppenheimer, and Edna St. Vincent Millay; as well as Blueberry Pie, (1998), 26 five-beat quatrains on Andrew Wyeth painting 'Christina's World'. 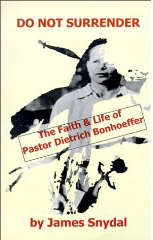 Perhaps Snydal's best known book of verses is Do Not Surrender (2001), a 254 sonnet sequence on the faith and life of Dietrich Bonhoeffer - a Lutheran pastor in Nazi Germany and one of the great voices of conscience in a dark chapter in history. Snydal celebrates the life of Dietrich Bonhoeffer again with 154 sonnets in Kneel and Pray (2001). 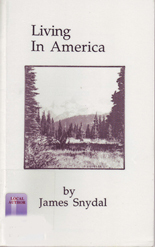 James Snydal's poems have been published as books, in anthologies, and in journals. He passed away in 2004.